Construction has finished on schmidt hammer lassen architects’ design for a new District Court in Malmö, Sweden. The completed scheme includes a new 10,000 sq m courthouse adjacent to the existing 3,000 sq m listed court building. 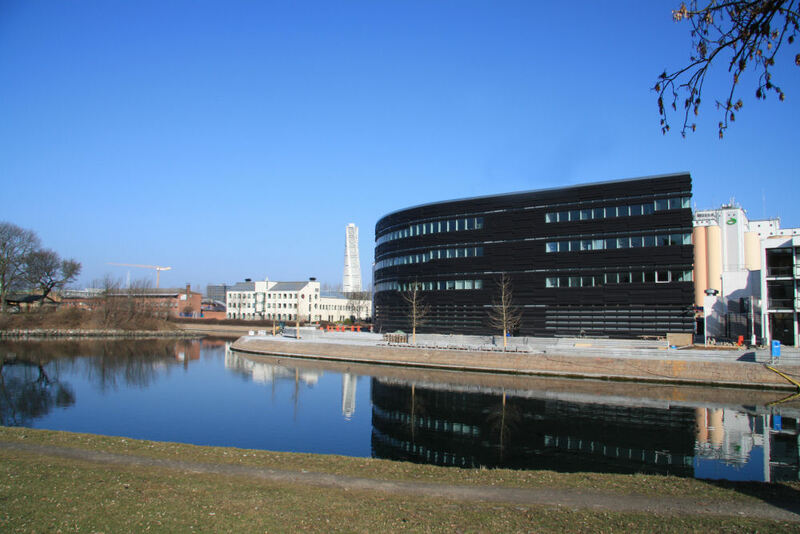 SHL architects won the prestigious project in 2004, electing not to create an extension as originally intended but to design an elegant new building that makes the most of the views over the adjacent canal and forms a new, strong architectural identity for the courthouse. The distinctive ‘teardrop’ form of the building reflects the contours of the site and responds to its surroundings – water and green spaces. The architects’ vision was to create a simple, robust image appropriate to the adjacent old harbour areas. 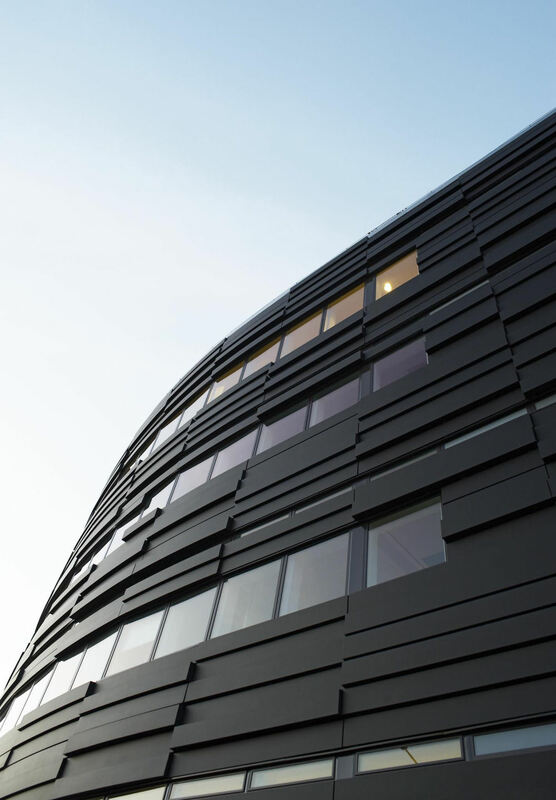 To realise this, facades have been clad in horizontal fibre concrete ‘stones’ of differing depths with long ‘ribbon’ glazing running along the length of the building. Internally, a glazed central atrium lined by nine court rooms serves as an indoor city square where people meet and interact between court sessions and meetings. Three upper floors are occupied by offices designed to maximise views out over the canal and the city. Further communal spaces have been included to promote interaction between colleagues. Since Malmö was connected directly to Copenhagen in 2000 by the Øresund bridge, the city has rapidly grown and become the cultural hub of southern Sweden. 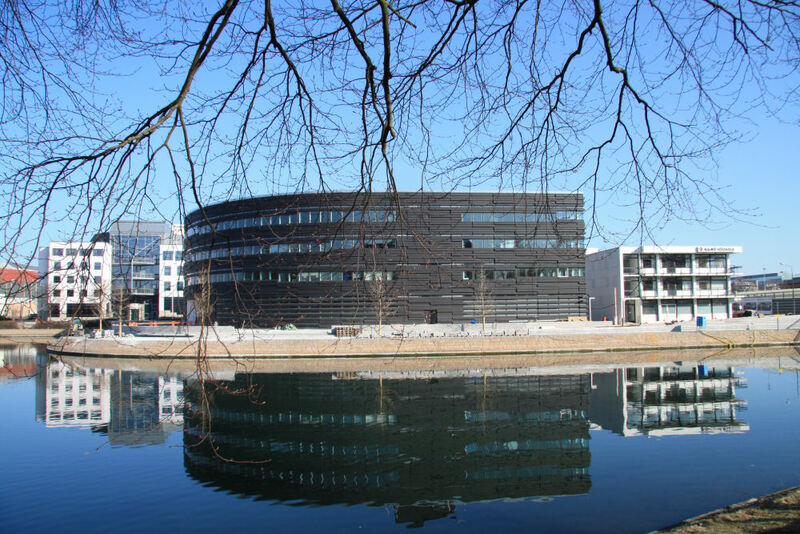 SHL architects’ design will help Malmö adapt to these infrastructural changes. Commenting on the opening of the building, partner Kim Holst Jensen said: “We are delighted to see the completion of the new District Court, an important building in the ongoing development of Malmö. The building provides a strong new identity for the Flundran area of the city and is a focal point among disparate surrounding sites.”SHL Architects is currently awaiting the result of the final stage competition for the International Criminal Court in The Hague.